The Algonquin Round Table comes alive in the only New York walking tour devoted to the famed literary group. The 2-hour walk celebrates Dorothy Parker, Robert Benchley, George S. Kaufman, Harpo Marx, Edna Ferber, Franklin P. Adams, Heywood Broun, Harold Ross, Robert Sherwood, Marc Connelly and the rest of the Vicious Circle. 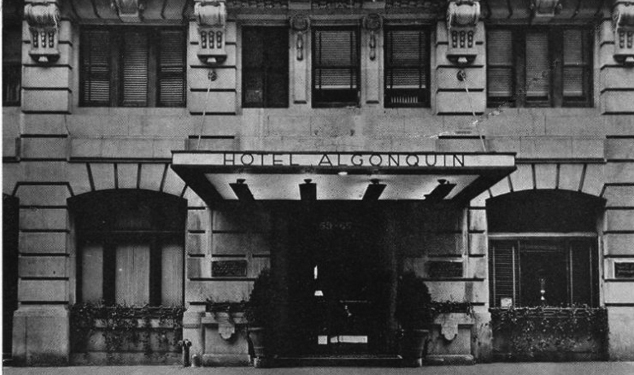 The tour begins and ends at the landmark Algonquin Hotel, 59 West 44th Street. The tour encompasses the Theatre District, Rockefeller Center, Times Square and Hell’s Kitchen. Guests will see the former homes, haunts and hangouts of the Vicious Circle of the 1920s. See where The New Yorker began, visit the spots where the speakeasies once stood, and walk in the footsteps of the legendary wits. There are more than 40 destinations on the tour; among them are places associated with the Vicious Circle: speakeasies, theaters, offices, homes and landmarks. 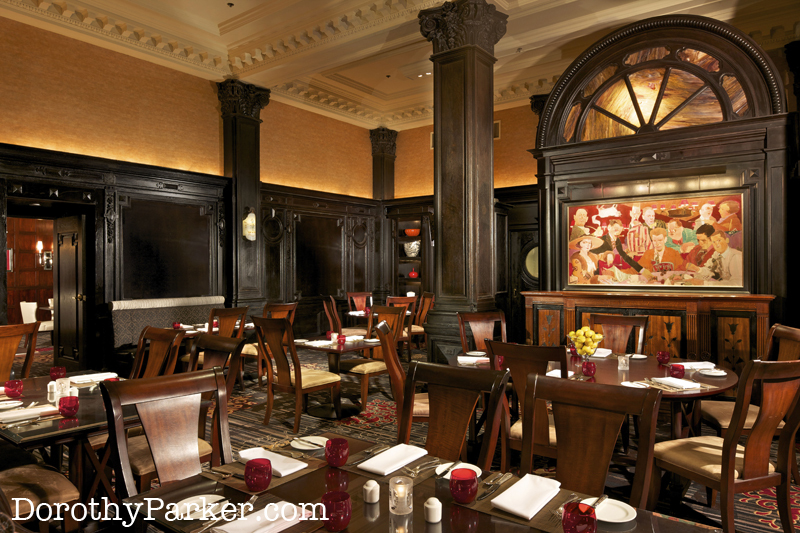 Immediately following the walking tours guests have the option of having cocktails on the Upper West Side, or lunch at the Round Table in the hotel’s award-winning restaurant (cost of lunch separate). The walking tour calendar is here; advance booking is recommended because tours do sell out. The tour is led by Kevin C. Fitzpatrick, author of four books about Dorothy Parker and the Algonquin Round Table, and the president and founder of the Dorothy Parker Society. Walking: It is recommended walkers wear comfortable shoes as the walks. Kids: Kids and strollers welcome! Pets: Dogs are welcome on the walking tours (in the spirit of Mrs. Parker) but they cannot be brought into the Algonquin Hotel lobby, no matter how small or well-behaved (or cute) they are. Time: All walking tours are approximately two hours in length. Weather: Walks are held rain or shine and tours begin on time. Charters: Private tours are also available. Please contact Kevin Fitzpatrick directly to arrange a private walk for groups of two to thirty.